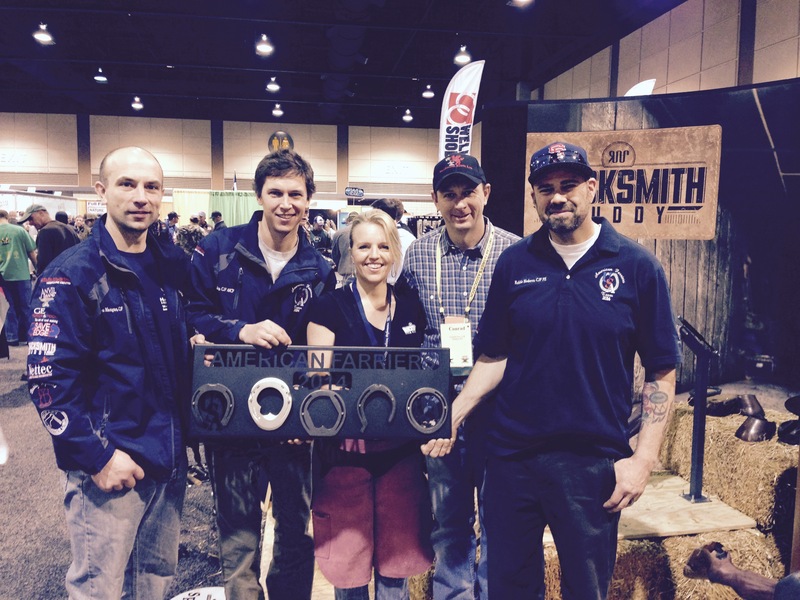 2014 American Farrier’s Team with Blacksmith Buddy’s Erin Baayen. As proud sponsor’s of the American Farrier’s Team, we’d like to congratulate the 2014 team for all their hard work! Four members, alternates, and a manager are chosen by point standings at the North American Forging and Horseshoeing Competition held each year at the AFA Convention. This team serves as informal ambassadors of the AFA and the horseshoeing profession in the US and North America. Congratulations to this year’s team! For more on the AFT, check out Americanfarriers.org online.